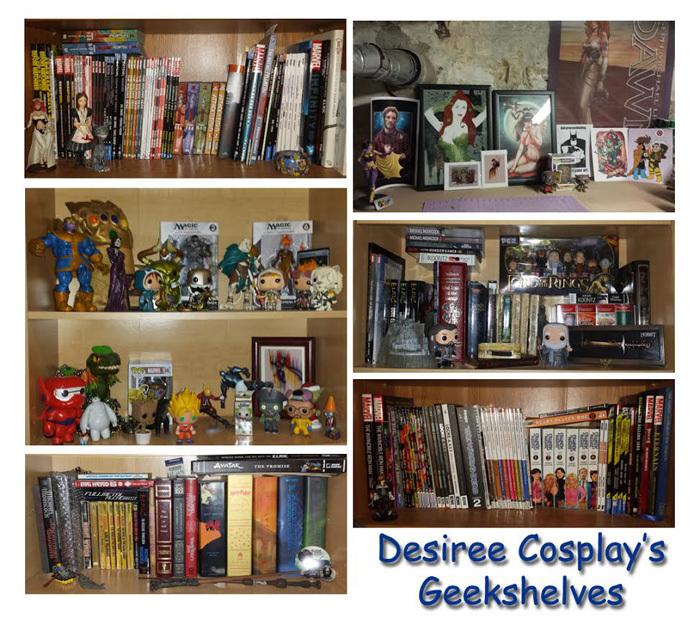 Some of us Geek Girls put together photos, video and info about some of our favorite collections that we own to share with you guys! What geeky stuff do you collect? "Hey Everyone! Sharing a little slice of my life with you, here are some of my "collection" categories. I blame growing up with Beauty and the Beast for all of it, the movie taught me how to me friends with my stuff! 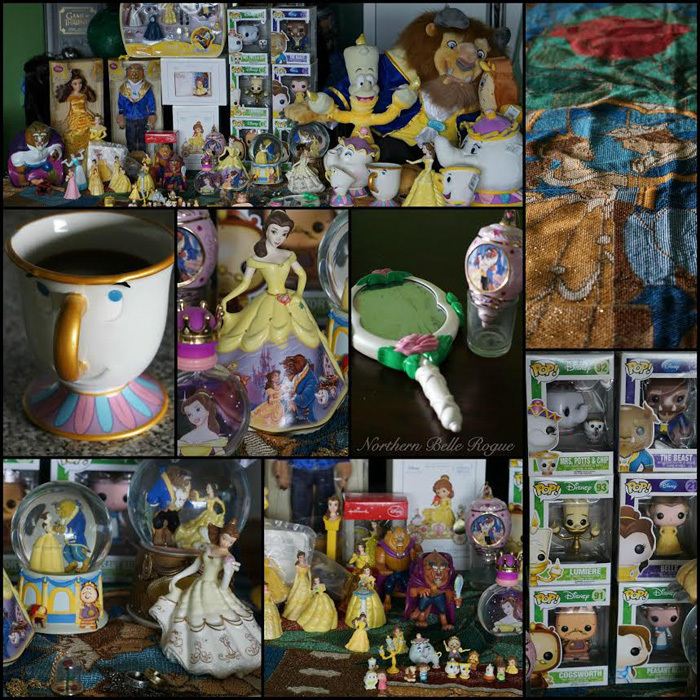 On that note, you'll notice my largest collection of items is from the Beauty and the Beast series. The other three are my Shakespeare collection, Game of Thrones and then a shot with various comic-based or Disney based items. With each of these 'collection' photos, it is only a fraction of what I have related to the topic. Finding everything and putting it in one location was tricky. Each time I'd take a photo, I'd remember something else I owned that was missing from the picture. Haha. 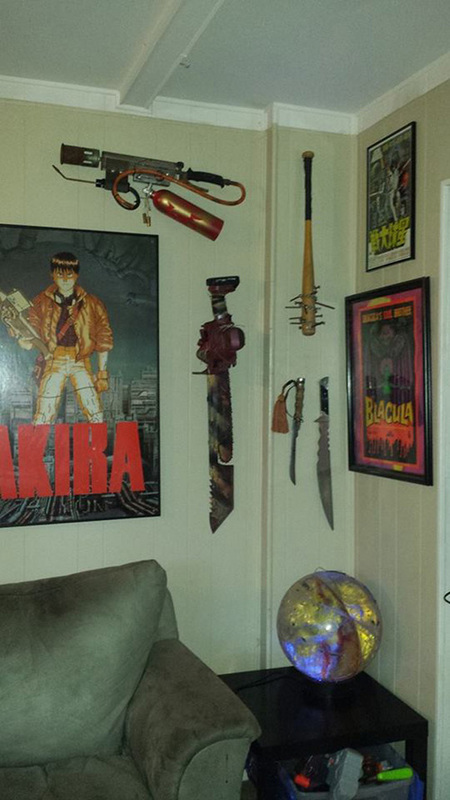 That said, some of my most treasured items are featured here. One example would be my copy of Avengers Annual #10, Rogue's first appearance that I had signed by Rogue creator Chris Claremont. Another is my First Folio copy of William Shakespeare, in this book, each page is a blown up photograph of the First Folio. 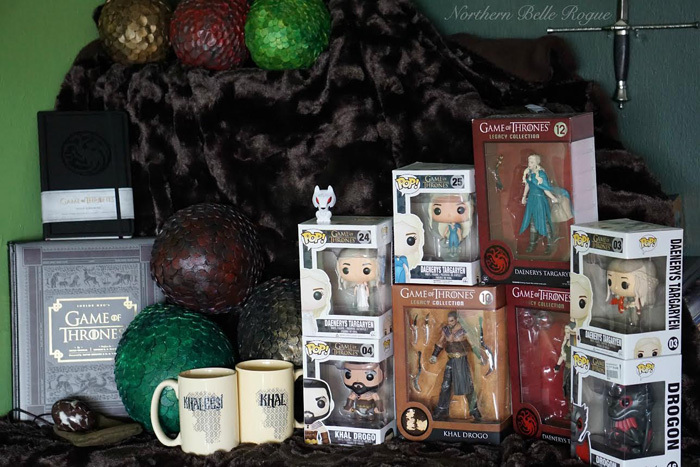 You'll notice that my Game of Thrones collections tend to be mostly Targaryen and Dothraki in nature and the dragon eggs I made myself! With regards to the Beauty and the Beast collection, the blanket that everything is lying on is a tapestry woven image of the stained glass window from the end of the film, and despite the plethora of things I own from this film (VHS, DVDs and books not pictured) my favourite piece from this collection would be the mirror in the centre of the collage. I've had this mirror ever since I can remember, and if my house was burning down you better believe after my cats that'd be one of the first things I'd go for. 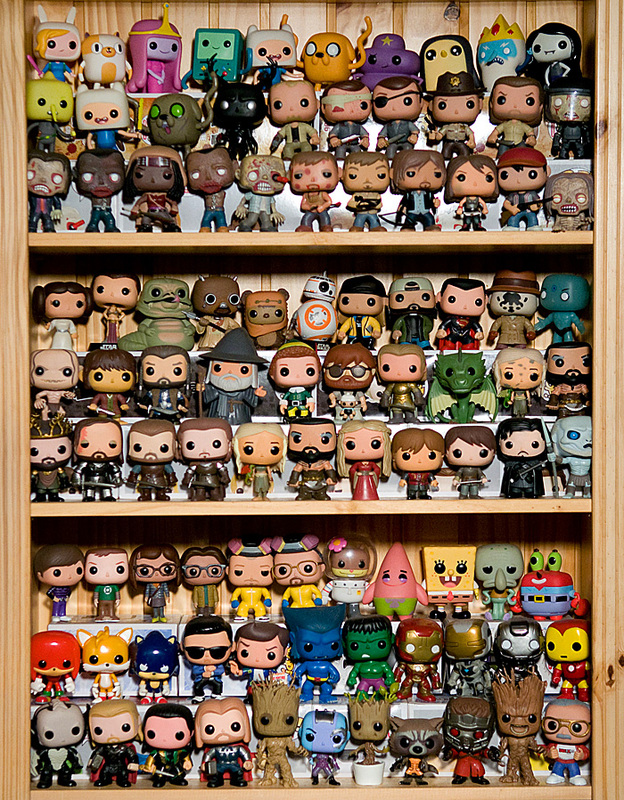 What are "geeky" collections that YOU own? 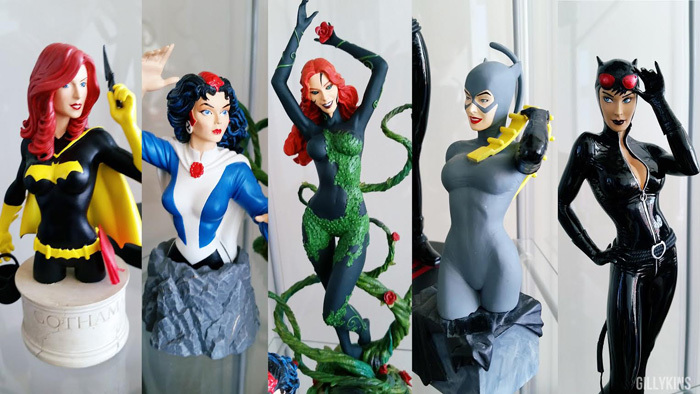 -GG Northern Belle Rogue"
"My main collection aside from comics are my statues of my beautiful ladies.� I'm obsessed with a few lines of states specifically the DC Cover Girls Statues, Women of the DC Universe mini-busts, Kotobukiya Statues and of course the DC Bombshells.� I've reciently moved which means I finally have the space to display everything!� Which also means I can look at adding more pieces to my collection, I have more than a few items on my 'to buy' list.��-Gillykins"
"I've been collecting for years and have always been a sucker for art, toys, comics, and special edition books. This is just a little sample of those various collections. 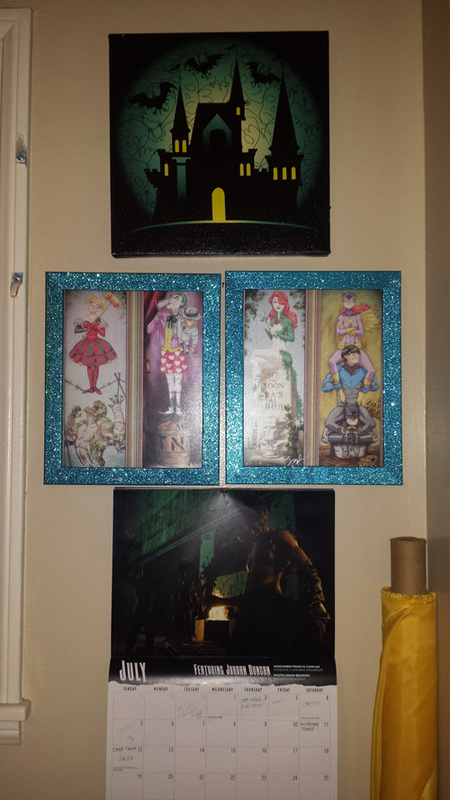 I didn't even try to capture my comic book collection or all of my art b/c both are scattered everywhere! Bonus inclusion of my husband's M:TG toy collection!" 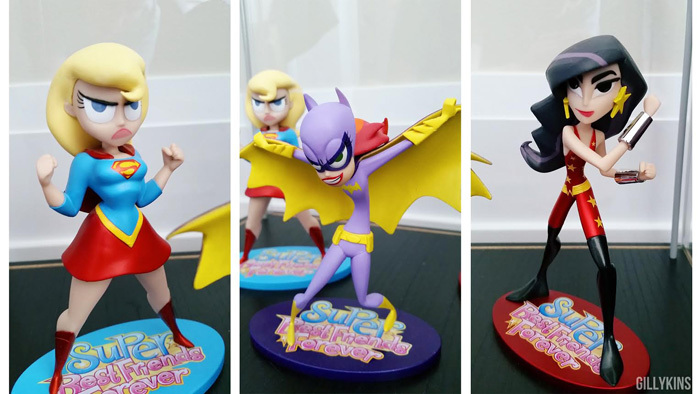 "I�ve been collecting animation art for as long as I can remember. My love for animation started when I was 7 or 8 and visited Disneyworld � they allowed us to see some of the animation being done by hand, so I saw Aladdin and The Lion King as it was being made. I wanted to be an artist for Disney for years and years growing up. I even have a ton of animation themed tattoos. 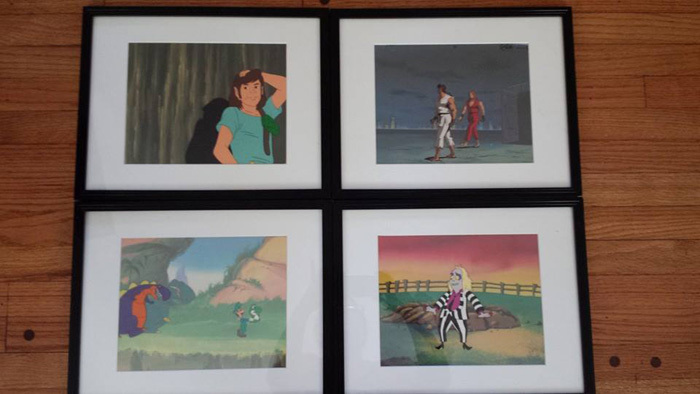 I have a big collection of original cels as well as posters from video games I have worked on, and original artwork from friends. My collection used to be a lot larger but I downsized a few years back in order to help fund a trip to Europe, then missed it so much I�ve been building it back up! I also collect cultural artwork, mainly from the Middle East, India and parts of Asia. 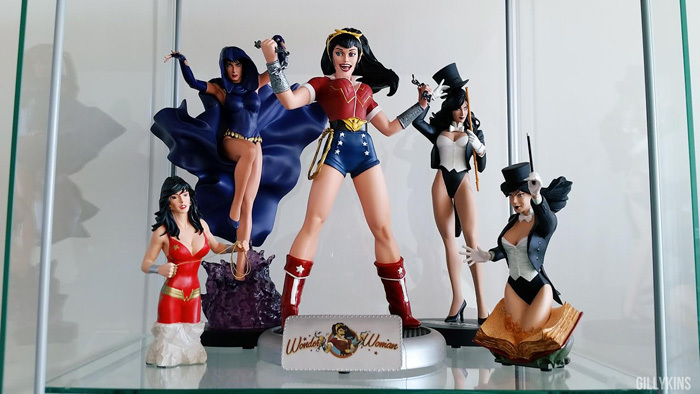 I live with other geeks, including my husband, so we have a pretty big combined collection of toys and figures�but the second biggest collection is our weapons! 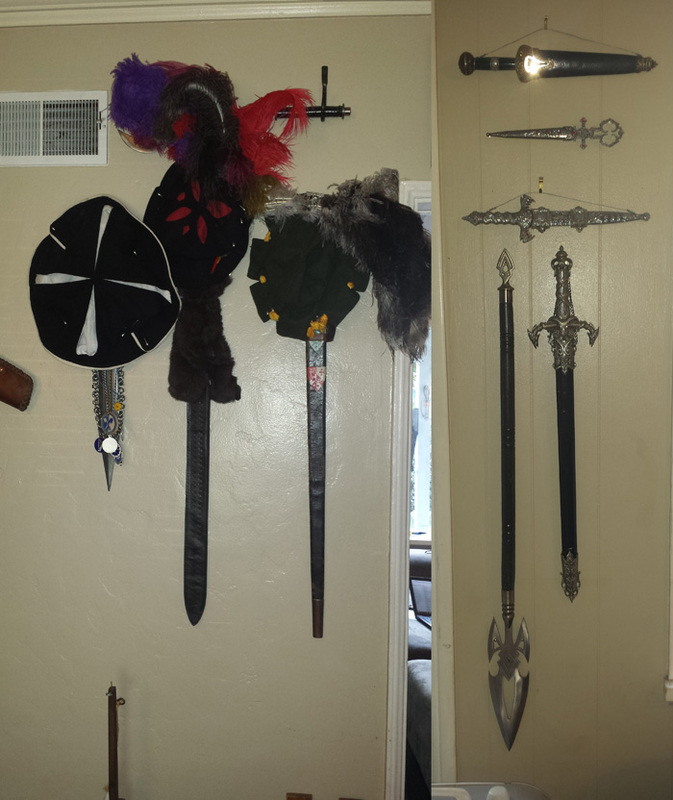 We have a wall for fantasy themed blades, a wall for historical blades, and a wall for post-apocalyptic weaponry. I also have some actual movie props and stop motion props, because I love stop motion too!" "Well it was hard to decide which of my stuff to photograph, as my whole house is filled with geek stuff! Seriously we're at the point where we need to move to a bigger house, lol. So I decided to go with my Funko POP! Vinyl collection (which you can read more about here) because it's my biggest (yet there are still literally hundreds more I want, I haven't even started Star Trek, Firefly or Doctor Who yet and I still need so many more Star Wars, Game of Thrones, Walking Dead & Marvel characters)! 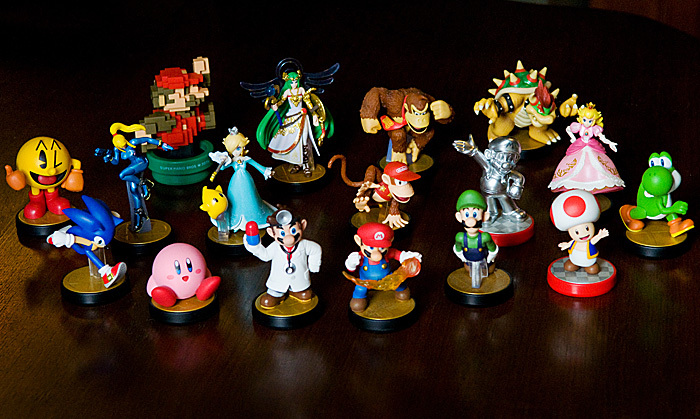 I've taken a break from Funko Pops lately though to work on my new obsession which is Amiibos! They are great because they do stuff on my Nintendo WiiU and they're fun to hunt for because there's so many rare ones! 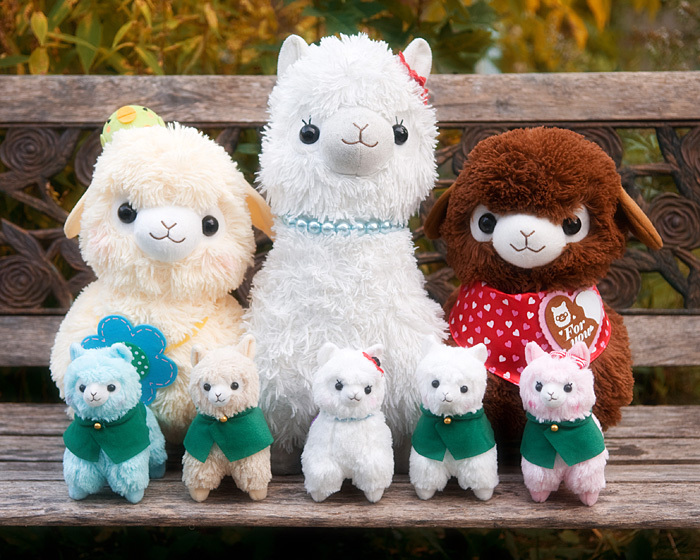 And lastly I went with my Alpacasso alpaca family! ♥ I own over a hundred plushies, but the ones I have the most of as a group are my lovely alpacas. In terms of other stuff not pictured I have tons of Doctor Who figurines (including my 11th Doctor 1:6 Limited Edition Figure signed by Matt Smith), the whole crew of Farscape action figures, tons of Adventure Time toys & props, random Watchmen, Mario, Star Wars & Attack on Titan figures and a huge collection of comic books, board games & Nintendo games! :D"